To build a sturdy frame, getting enough calcium and vitamin D is key. Matthew Kadey, MS, RD, a James Beard Award-winning journalist, Canada-based dietitian, freelance nutrition writer and recipe developer, gives you the low-down on these nutrients—and the plant foods that can help you get your fill. Calcium is an important mineral for building snap-resistant bones, as bones account for roughly 99&percnt; of the body&apos;s total calcium stores. The Recommended Dietary Allowance &lpar;RDA&rpar; for calcium is 1,000 milligrams per day for women up to age 50 and men up to age 70, and 1,200 mg&sol;day for anyone older—levels that are easy to achieve in a diet that includes dairy foods. But there are also are a number of nondairy calcium sources. "The key is to eat a variety of sources so calcium intake adds up to meet needs," says sports dietitian and Ironman® competitor Marni Sumbal, MS, RD, CSSD. She recommends a food-first approach, as high intakes of calcium supplements may raise the risk for heart problems. Collards. One cup of cooked collards has about 266 mg of calcium plus healthy amounts of bone builders like vitamin K, magnesium and carotenoids. 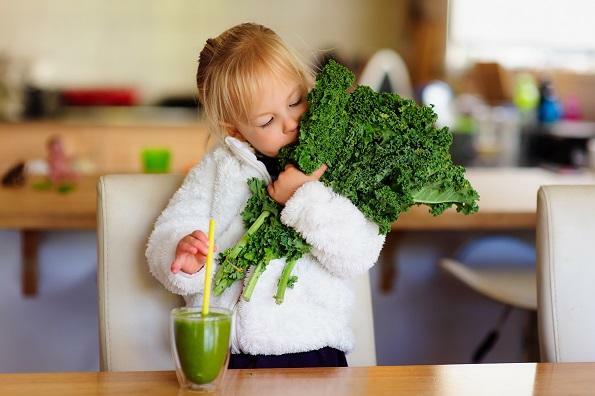 Other greens that deliver the most absorbable calcium include mustard, turnip, kale, bok choy and broccoli. Tofu. Just a 3-ounce serving can provide about half the daily need for calcium. The key is to choose tofu made with calcium sulfate as a coagulant &lpar;sometimes called "calcium-set" tofu&rpar;. Tahini. Whether you sprinkle sesame seeds on a stir-fry or use tahini &lpar;a paste made by grinding up sesame seeds&rpar; to whip up a batch of hummus, you&apos;re getting a shot of calcium. Each 2-tablespoon serving of tahini supplies about 130 mg of calcium, while each tablespoon of whole sesame seeds offers up nearly 10&percnt; of the daily calcium requirement. Dried figs. Each half-cup serving supplies about 120 mg of calcium, along with the bone-friendly nutrients vitamin K and magnesium. Enjoy dried figs sliced and added to salads, oatmeal, trail mix, yogurt or homemade energy bars and balls. You can chow down on all the calcium-rich foods you want, but you need vitamin D for proper calcium absorption. In fact, poor vitamin D status can speed up bone aging &lpar;Busse et al. 2013&rpar;. The only problem&quest; It&apos;s tough to find much if any vitamin D in food. Unless your plant-based diet includes plenty of the items discussed next and you&apos;re basking in some sunshine daily, take vitamin D supplements as insurance. Mushrooms. You can buy brands of UV-exposed mushrooms like Monterey, which can supply upward of 400 international units of vitamin D in a daily 3-ounce serving. &lpar;The RDA for vitamin D is 600 IU&sol;day for people aged 1–70.&rpar; In sunlight, mushrooms convert a form of cholesterol into active vitamin D &lpar;Keegan et al. 2013&rpar;. You can also put regular mushrooms in a sunny location for a couple of hours and likely end up with vitamin D—loaded fungi. Try sautéing with a bit of oil or butter, since that will improve absorption of vitamin D, which is fat-soluble. Nondairy milks. From soy to almond to hemp, many nondairy milk options are fortified with calcium and vitamin D. Most offer about 30&percnt; of the daily value for vitamin D. If the drink is very low in fat, try serving it with a fat source like almonds to improve vitamin D absorption. Some brands of orange juice are also now fortified with the sunshine vitamin. Busse, B., et al. 2013. Vitamin D deficiency induces early signs of aging in human bone, increasing risk of fracture. Science Translational Medicine, 5 (193), 193ra88. Keegan, R.J., et al. 2013. Photobiology of vitamin D in mushrooms and its bioavailability in humans. Dermato-Endocrinology, 5 165–76.